Find out the week’s top mobile stories from around the world. This week.. Brussels backtracks on mobile roaming, MTN quits mobile money in SA mobile connectivity is costing businesses billions and much more. Brussels executed a public U-turn on Wednesday in a desperate attempt to rescue a policy that was once held up as a tangible example of the EU’s benefit to ordinary citizens only to become a source of consumer ire. The cause of anger was a European Commission proposal from September that would have limited to 90 days a year the period for which mobile phone users would be spared roaming charges in Europe. Amid outrage from MEPs and consumer groups, the commission on Wednesday introduced a new proposal that scrapped the unpopular 90-day limit. It also includes measures to root out potential abuse of the ban on roaming charges in an effort to placate telecoms companies, which have complained bitterly about the loss of roaming fees. 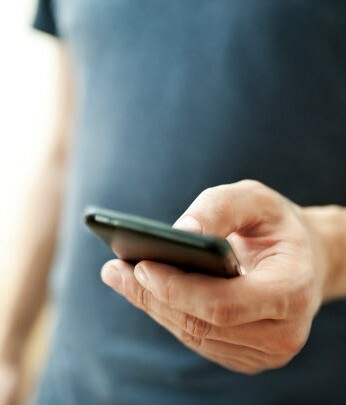 The direct and indirect costs of mobile connectivity through roaming, pay-on-demand Wi-Fi and free Wi-Fi continue to mount up, hitting £2.19bn a year across Europe and North America, despite ongoing efforts by network operators and regulators to bring down the costs, according to wireless network aggregator iPass. Its report said mobile professionals were estimated to be using an average of 6GB per person per month when travelling or working remotely. The announcement illustrates the difficulty of cracking the financial services market in South Africa via mobile payments services. Unlike most of Africa, South Africa has a well-established and competitive banking sector. 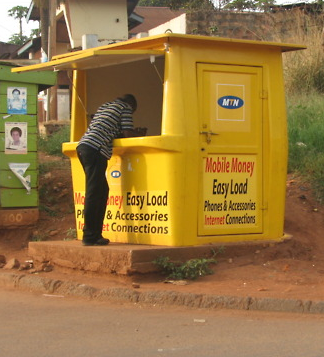 Elsewhere, MTN’s Mobile Money subscribers grew by 5% to 36.5 million last year, according to the company’s interim results (pdf). The product’s revenue increased by 40.8% and performed well in Uganda, Ghana, Rwanda and Benin. The MTN Group has allotted more funds to marketing the product in countries like Cameroon and the Ivory Coast. Brits are nearly twice as likely to trust banks to store and keep safe their biometric information as they are to trust government agencies, according to a survey from Visa. Of around 2000 people quizzed by the payments giant, 60% say that they would put their faith in banks to look after fingerprints and iris scans, compared to just 33% who trust the government. When asked who they would trust to offer biometrics authentication as a service to confirm identity, 85% select banks – up from 65% in 2014. Payments networks are the next most trusted, by 81% of respondents, ahead of global online brands on 70%, and smartphone companies on 64%. Smartphones are rapidly catching up with tablets as the preferred choice for UK consumers buying online via a mobile device. The IMRG Capgemini eRetail Sales Index for August 2016 reveals that, for online sales made via a mobile device, 49.5 per cent were made on a smartphone, compared to 50.5 per cent on a tablet. This is a year-on-year increase of 18.5 per cent for smartphones, which in August 2015 accounted for just 31 per cent of mobile sales, compared to the 69 per cent made on a tablet. Overall, online sales grew 16 per cent year-on-year in August; equating to £9.8bn. The strong performance is in stark contrast to August 2015, during which the Index recorded a growth of just 5 per cent. 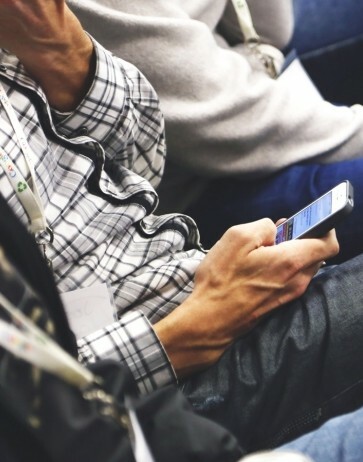 The number of people across Latin America using their mobile devices to access the Internet is set to grow by 50 per cent by the end of the decade, according to a GSMA study. It is forecast that 150 million new mobile internet subscribers will be added in the region by 2020, bringing the total to 450 million and driving economic growth, innovation and digital inclusion. “Latin America has seen rapid growth in the number of mobile internet subscribers over recent years, helping to build an ‘app economy’ in areas such as mobile commerce and mobile content, and supporting a flourishing local start-up environment,” said Mats Granryd, Director General of the GSMA. Unilever has begun using mobile gaming to recruit staff, with the aim of speeding up recruitment, lowering costs and promoting diversity. The consumer goods giant, whose products range from Dove soap to Flora margarine and Marmite, plans to launch the process in the UK after introducing it in parts of Asia and the US. The British-Dutch company received 250,000 applications from graduates globally last year. The process will mix gaming with video interviews and is designed to limit any unconscious bias in the selection process. A mobile platform supporting the National Diabetes Prevention Program (NDPP) is a viable and valuable strategy in helping patients lose weight and slowing the onset of disease. A pilot study reveals the program, when presented through a smartphone platform, showed high patient engagement and “transformative weight loss” compared to traditional NDPP approaches. “[A] novel mobile NDPP intervention has the potential for scalability, and can address the major barriers facing the widespread translation of the NDPP into the community setting, such as a high fixed overhead, fixed locations, and lower levels of engagement and weight loss,” according to the authors of the study, published in BMJ Open Diabetes Research & Care. The WiFi and cellular services, which have been rumored since late 2015, would be available to existing and new Comcast cable customers. Comcast plans to jump into the wireless phone service marketplace by mid-2017 by offering its cable customers phone plans that will use WiFi and the Verizon network for connectivity. The upcoming Comcast mobile services were unveiled by Comcast CEO Brian Roberts at the Goldman Sachs Communacopia conference in New York, according to a Sept. 20 article by Bloomberg. Rumors of some kind of Comcast mobile phone service offering have circulated since at least October 2015, according to an earlier eWEEK report. Augmented reality glasses will be as popular as laptops and mobile phones in as little as 10 years, according to a leading manufacturer of the technology. Alberto Torres, the chief executive of Atheer, a company making 3D interactive smart glasses, told Sky News the trend will initially move faster with professionals who work in the field, like medical workers or service engineers. “I believe that longer term, smart glasses are going to become a primary form of computing,” he said.